As gas detection and respiratory protection experts, GazDetect offers a wide range or equipment and devices to cover the specific needs of many fields of activity from small gas boiler rooms, tertiary structures and public works up to petrochemical industries and SEVESO classified sites. 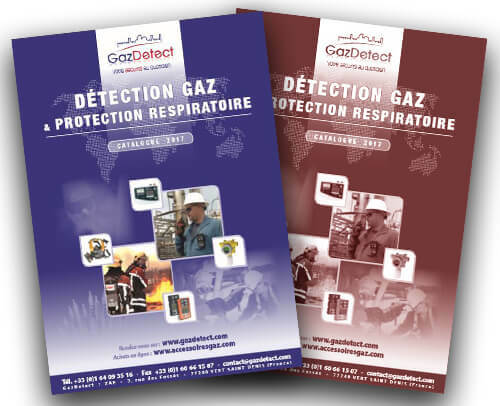 Created in 2008 in Vert Saint Denis (near Paris), France, GazDetect is a worldwide distributor and maintenance specialist for gas detectors and respiratory protective equipment. With a young and motivated team, a very large available stock and effective logistic solutions, we ship 70% of our orders on the same day! This is our core business! In addition to our large range of portable gas detectors (single-gas monitor, multi-gas detector and area gas monitor) we also provide fixed gas detection systems for any application such as gas boiler rooms, parking garages, cold storage, wastewater treatment or petrochemical industries, etc. – Atmosphere supplying respirators with self-contained breathing apparatus (SCBA), supplied air respirator and EEDBs like rescue or escape SCBA like self-rescuer masks. We supply a very large range of single-use disposable calibration gas cylinders. They are designed to perform calibrations and periodical checkings of gas detectors and other devices like chromatographs, gas analyzers, alcohol interlock devices or headspace gas analyzers (MAP). Thanks to a large available stock, we are closely working with major actors in these sectors. GazDetect is also an approved maintenance center and offers a wide range of services such as gas detector or respirator rental; calibration, maintenance and periodical checkings of gas detectors and respiratory protective equipment in our facility or on your site. We are also a training center for gas detection and respiratory protection devices. Because equipment quality is essential and non-negotiable for safety, we work closely with major brands to guarantee high quality and compliance with international standards & regulations.